THE GREAT ALONE, and WHERE THE CRAWDADS SING, two of 2018’s most popular historical novels, take readers back in time to 1974 and the 1950s, respectively. The characters in historical fiction can be imaginary, but the world they inhabit must be based on the reality of a particular time and place.“The devil is in the details” is an appropriate idiom to describe this writing process. Writers who carry it off, research every aspect of when and where the story takes place, from dialect to popular foods and the endless minutia of daily living. Authors who write historical fiction don’t need to rely on personal experience, but are more likely to tell an engaging story if they set it in interesting times. That might explain all the action- packed, emotionally charged novels set during times of social upheaval, such as war. World-building for them begins with maps, history books, news accounts and such memorabilia as personal letters, scrapbooks, matchbooks, diaries and old photos. Memorabilia and souvenirs are ripe sources for historical fiction. I remain intrigued by a World War II-era menu my mother saved from a restaurant in Shreveport, La. She was visiting my father, an Army soldier poised to ship out to Italy. For her, the menu was a romantic memento. For me, as a writer, I see a young couple with an uncertain future, about to be separated by a war being fought an ocean away, and I wonder what they said and what they were thinking. That’s where historic fiction begins. What’s in your attic with the power to evoke a story from the distant past? So many stories are just waiting to be uncovered. Please share your comments and some of your favorite historical fiction books. Authors and Illustrators and Editors…Oh My:When Creating a Book is a Collaborative Effort + Free PB manuscript critique by PB Author Vivian Kirkfield. I’ve always been a fan of collaboration. As a kid, I loved getting together with friends to plan a fun project. As a kindergarten teacher, I treasured the contributions from parents who brought a wealth of diversity and talent to school functions. It seemed natural to me that there would be a team effort when a book was created—with input from author, illustrator, and editor. But unfortunately, that doesn’t always happen. In theory, the author brings her vision to the story with words. The illustrator adds another layer of vision. But some editors may fear if too much communication is allowed between author and illustrator, the author may try to influence the illustrator to do things her way. Although I understand that point of view, I also believe that there is so much good that can come out of working as a team. At this point in my writing journey, I have multiple book deals. That is certainly something to cheer about. But it’s also given me the opportunity to experience different publishing processes. 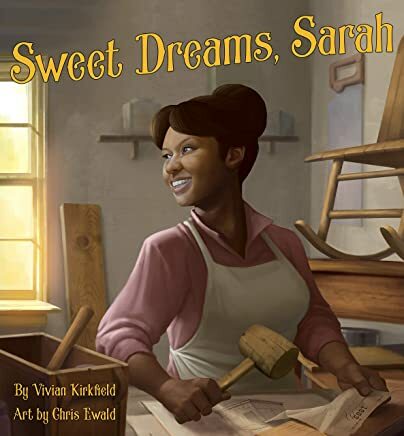 The first contract I signed was for SWEET DREAMS, SARAH (Creston Books, May 1, 2019). I never saw early sketches, there was no collaboration between author and illustrator, and when the color layouts were finally shared with me, there were many changes that needed to be made for historical accuracy. I’m grateful that those changes have been made and the finished product will be stellar, but that is why a book that was signed in November 2015 isn’t launching until May 2019. Happily, for the other two books that also launch next year, there has been a level of collaboration which exceeded even my expectations. PIPPA’S PASSOVER PLATE (Holiday House, Feb 5, 2019) began as a Picture Book Idea Month thought back in 2013. When one of my in-person critique buddies, author/illustrator Jill Weber, saw it at the end of 2017, she fell in love with it and brought it to her long-time editor in NYC who also fell in love with it and bought it on the spot. Jill signed on to illustrate and what followed was pure pleasure for me, although lots of hard work for Jill. She showed me early sketches—I loved each one. She shared early color illustrations—they were fantastic. And when the book dummy was complete, we shared a cup of hot chocolate at our favorite local meeting place while I got to flip through the pages to see Pippa Mouse and all the other characters come to life. Hurray for collaboration! When my agent sent FOUR OTTERS TOBOGGAN: AN ANIMAL COUNTING BOOK to the editor at PomegranateKids, she also sent some sketches from one of her illustrator clients. Essie had a feeling that Mirka Hokkanen’s style would be the perfect match for my lyrical text. And she was spot on right! The editor loved the partnership and signed Mirka to do the illustrations. Now, wouldn’t you think that Colorado Bend State Park is in Colorado? I certainly did. But no. It’s actually in Texas. Thank goodness for Mirka’s attention to detail and for our ability to collaborate. We researched other birds and found the perfect substitute—the Southwestern Willow Flycatcher. Of course, we immediately let the editor know why we were making the change and he was totally fine with that. But how much better it was that we made the change before the publisher fact-checked and discovered my incorrect information. Later in the process, Mirka sent me a sketch of one of the spreads and she questioned why I had peregrine falcon babies in a burrow. “Don’t they live on a high cliff ledge?” she asked. They certainly do, but the ‘bobbing beaks retreating to the borrowed burrow’ referred to the five burrowing owls from the previous spread, not to the six peregrine falcons who were circling overhead. If Mirka and I were not collaborating, she would have spent a lot of time refining her sketch and perhaps even crafting the block from which she would make the woodcut illustration. Or worse, if I didn’t get to see the book until it was almost ready to ship, expensive changes would have to be made. Hurray for collaboration! Just a few weeks ago, I got to see the dummy for FROM HERE TO THERE: INVENTIONS THAT CHANGED THE WAY THE WORLD MOVES (Houghton Mifflin Harcourt, Fall 2020). Illustrator Gilbert Ford had a huge task…nine nonfiction picture book bios in one compilation book. The editor kindly asked me to comment on the PDF, but there was very little for me to say except how much I loved it! And although I haven’t seen any sketches yet for MAKING THEIR VOICES HEARD: THE INSPIRING FRIENDSHIP OF ELLA FITZGERALD AND MARILYN MONROE (Little Bee Books, Spring 2020), I’m thrilled with the portfolio of Allenanna Harris, the illustrator who will be bringing that story to life. I know she will do a fabulous job and I look forward to the collaborative effort that will create a wonderful picture book for children. Although this writing journey can be frustrating at times and disappointing at others, I always feel blessed to be on it. And lucky to have all of you as my traveling companions. I truly believe that we can turn our dreams into reality if we keep moving forward, help one another, and never give up. Our destination is within reach. Vivian is giving away ONE PICTURE BOOK CRITIQUE to a random person who leaves a comment on this post. All commenters names will be placed in a hat and one winner will be drawn and announced on this blog on Thursday February 7, 2019. If you share this post on Twitter or FB, or reblog it, let me know and I will add your name twice to the hat. Vivian Kirkfield’s career path is paved with picture books. She shelved them at the library during her college years. She read them to her students when she taught kindergarten. And she writes them. She is the author of Pippa’s Passover Plate (Holiday House, February 2019); Four Otters Toboggan: An Animal Counting Book (PomegranateKids, March 2019); Sweet Dreams, Sarah (Creston Books, May 2019); Making Their Voices Heard: The Inspiring Friendship of Ella Fitzgerald and Marilyn Monroe (Little Bee Books, Spring 2020); and From Here to There: Inventions That Changed the Way the World Moves (Houghton Mifflin Harcourt, Fall 2020). Vivian lives in the quaint New England village of Amherst, New Hampshire where the old stone library is her favorite hangout and her young grandson is her favorite Monopoly partner. You can visit her website at Picture Books Help Kids Soar where she hosts the #50PreciousWords Writing Challenge or connect with her on Facebook, Twitter, Pinterest, Instagram, and Linkedin. To Honor the Memory of Reverend Dr. Martin Luther King…Help Your Neighbor. Many of us have the day off from work or school today to honor the memory of a great man: Revered Dr. Martin Luther King. It can be a day to shop or goof off, to laze in bed or do nothing. But, is that the message we want to share with our children? To really honor the memory of a man who stood for peaceful protest and equality for all people, why not do something to show kids we can make a difference? Visit nursing home residents. So many lonely people would welcome a visit. Volunteer at a soup kitchen or food bank. Volunteer for Meals ON Wheels to deliver meals to those unable to leave home. Play with pets in a local animal shelter. Use http://www.mealtrain.com to organize meal delivery for a family going through hard times. Go for a walk with a bag to pick up litter for recycling or disposal. Help your kid’s school start a garden. Gather some friends to clean up a local park or schoolyard. Kindness and a helping hand are not something to practice only one day a year. Every time we reach out to others, we honor the memories of those who spent their lives promoting peace and understanding. Acts of kindness can be contagious. Let’s spread them far and wide. Shiela Fuller:Celebrating America’s National Bird, The Bald Eagle. This wonderful post is brought to you by my friend, naturalist, wildlife photographer, and soon-to-be children’s book author SHIELA FULLER. Since Roman times, the bald eagle has been a “symbol of governmental power”. In 1872 the government of the United States chose the bald eagle as the national symbol for the country, signifying freedom and patriotism. A figure of a bald eagle can be found on U.S. coins, paper bills, stamps, flags, official government documents and passports, and other items illustrating its importance to our country’s history. Even with the notable attention given to the bald eagle, it wasn’t that long ago that it was near extinction. Sport hunting and pesticide use were contributing factors to the decrease in numbers of these majestic birds. The Bald Eagle Protection Act (1940) is a Federal statute that gave legal protection to the bald eagle. In 1972, regulations curtailing pesticides that were found to be a detriment to the eagle’s future (and ours, too) were enacted. Since that time, the eagle population has grown. In 1995, the eagle was declared not endangered but a threatened species and in 2007, the bird was removed from the threatened list, as well. The bald eagle is not bald but has a feathered white head and tail feathers that are not obvious until after the eagle’s fifth year of life. The bald eagle’s legs are featherless. Bald eagles are found all across North America. They have an incredible wingspan of up to eight feet and can fly 45 miles per hour. A female bald eagle with an immature one missing the signature white head feathers. Eagles eat mammals like raccoons and squirrels, reptiles like snakes and turtles, and water birds. They will scavenge carcasses and even steal prey from other predators. If you would like to learn more about our national bird and perhaps see an eagle in the wild, attend the annual Eagle Fest on February 2, 2019. Located in Mauricetown, NJ the festival is a family fun event featuring vendors, live exhibits, and speakers. After you’ve taken that all in, venture in your car for a short ride to selected eagle nesting areas where volunteers with bird scopes are waiting to show you what you came to see. Shiela Fuller is the author of All Night Singing (Schoolwide 2015) and Cliff Climbers, to be published in 2019 (The Little Fig). She adores Pembroke Welsh corgis and has a new pup, Jefferson Jonas. She is a frequent bird watcher and legacy keeper for her family. Harper Lee’s Pulitzer-prize winning novel, “To Kill a Mockingbird,” was recently voted America’s best loved novel in a competition sponsored by the Public Broadcasting System. Published in 1960, “Mockingbird,” harkened back to a racially-motivated incident in a small Alabama town in 1936. Classic historical fiction tugs at our hearts and can motivate us long after we’ve turned the last page. Miss Lee immersed readers in a previous time and place to such an extent, that book has been credited with helping fuel the Civil Rights movement of the 1960s. Who doesn’t remember how a desperate Scarlet O’Hara tore down the green velvet drapes in the parlor at Civil War-ravished Tara, to sew them into a dress she hoped would entice a bank officer into giving her a loan? Or, when George Bailey, played by Jimmy Stewart in the movie, “It’s a Wonderful Life,” stopped a run on the bank in the 1930s, by cajoling customers into withdrawing only as much money as they absolutely needed? Getting the details right requires meticulous research of authors. I’m writing a historical novel about a 12-year-old girl, who vows to win the 1932 National Spelling Bee, to prove she’s the best speller in America. The idea came to me when I visited the official site of The National Spelling Bee, www.spellingbee.com. I discovered, that in the midst of The Great Depression, ordinary kids were competing to win a bag full of gold coins, worth the equivalent of about $60,000 today. That, in turn, led me to wonder who these kids were and what words the finalists spelled. That directed me to archived newspaper articles reporting on the finals of the 1932 National Spelling Bee. I learned the national championship was held in the National Museum in Washington, D.C. The first thing visitors saw, in the lobby, were glass cases of life-size, stuffed animals, some of them reputed to have been shot by President Theodore Roosevelt while on safari in Africa. With the help of the Smithsonian’s archives, I’ve been able to describe what it was like for those kids, who ranged in age between 8 and 13 years old, to approach the microphone on that stage, take a deep breath and spell their words in front of an audience of more than 100 people. The winning word that year was “invulnerable.” It was spelled by Dorothy Greenwald, who took the grand prize back home to Des Moines, Iowa. Historical fiction transports us back in time, but as with many things in life, the devil is in the details. Next month: The second post in this series on researching historical fiction will delve into which details are most likely to resonate with readers. Marilyn Ostermiller is a long-time professional journalist, who now writes for children. You can follow her on Twitter @Marilyn_Suzanne. …PLASTICS! Stories about the plastics floating in our oceans and waterways and the dangers this poses to marine life filled headlines in 2018. One statistic stated that by 2050 there will be more plastic in the ocean than marine life. That’s a pretty sobering statistic. Many communities banned plastic straws and some even eliminated plastic bags as an option when shopping for groceries.At the start of a new year, when our minds are focused on “resolutions” and starting fresh, I am resolving to work on cutting back on the use of plastics in my life. I know there is more…much more that I can do. If healthy oceans and marine life are important to you and your families, maybe you’d like to know what YOU can do to cut back on plastic use. Visit: http://www.myplasticfreelife.com for 100 IDEAS and WAYS to get rid of plastic in your life. May 22019 be a healthy year for all of us!